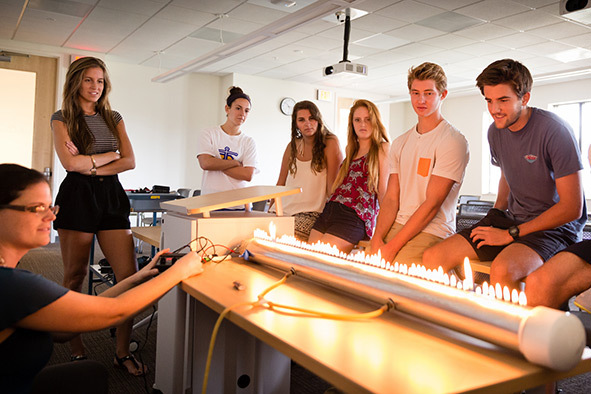 The physics department at Rollins provides students with the opportunity to pursue a degree in physics in a vibrant, liberal-arts environment. Physics majors are staying on campus this summer conducting original, professional research as part of the Student Faculty Collaborative Research Program. Interested in engineering? 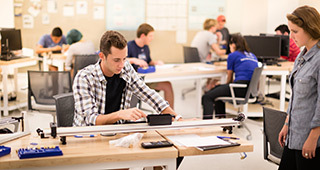 Future engineers may concentrate in physics for the first three years at Rollins and then transfer to one of the engineering schools with which the college participates in a 3-2 dual-degree program. Our distinguished physics faculty includes a Florida Professor of the Year. 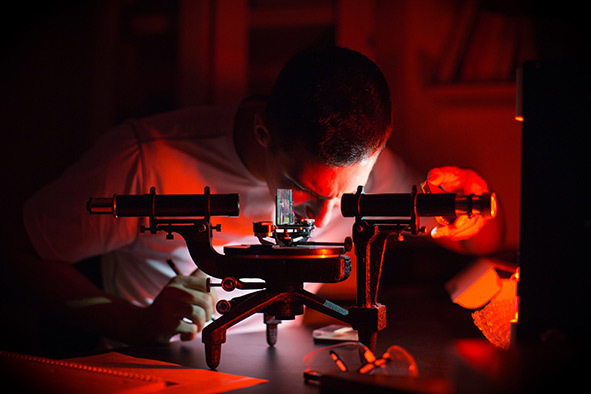 Physics majors at Rollins receive an excellent education in physics, while enjoying a special relationship with their faculty mentors. Our state-of-the-art teaching and research laboratories ensure a challenging and rewarding classroom environment, while providing opportunities for you to interact closely with faculty. 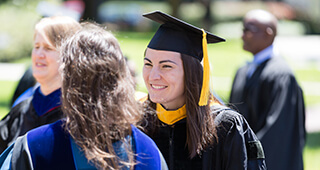 ﻿Some Rollins physics graduates teach or work in industry while others pursue master’s of business administration degrees (MBA). Many physics majors go on to graduate school in specialized areas of physics, while others continue in such fields as astronomy, oceanography, materials science, and applied physics. Since physics majors know how to solve problems and use technology, they find interesting jobs with or without a higher degree.